Loki wants you to take your vitamins while he’s gone, girls. Tom Hiddleston’s latest bite-sized venture — a Chinese commercial for Centrum Women’s Vitamins — is a stunning piece of WTF-edness that is giving viewers serious creeps across the globe. Not sure what Hiddleston was thinking (okay, he was probably thinking $$$ and maybe also hey, it’s China, nobody in Hollywood will ever find out about this) when he signed on for this particular project peddling supplements for ladyfolk. The bizarre commercial was made for a Chinese viewership, so maybe we’re missing something in the translation. The ad plays out from the point of view of a woman who’s strolling into her kitchen in the a.m., where Hiddleston is surgically dicing a massive platter of bell peppers, enough for a family of five — and serving it up to her with one perfectly fried egg on top. From there, it only gets weirder. Here it is, in all of its magnificently creepy, confusing glory. The reactions to the commercial are golden, mostly because Hiddleston is so robotic and awkward in his delivery it’s not quite clear what the narrative even is. 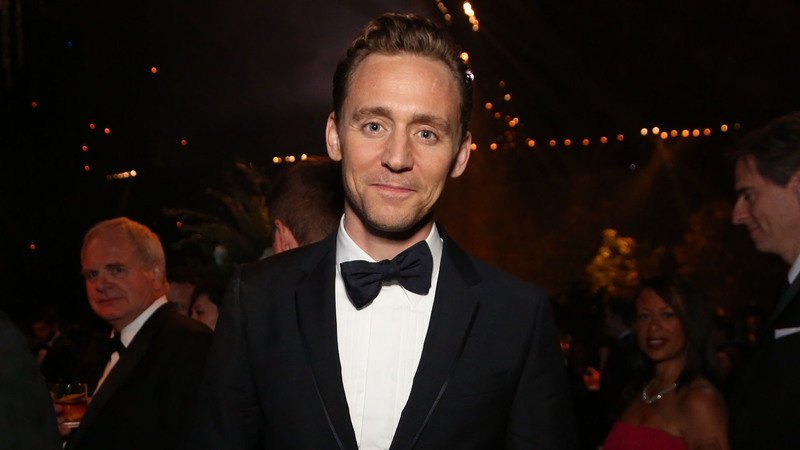 Is Hiddleston a boyfriend who disappears for weeks at a time? How did he get in the house? That’s a big plate of salad for breakfast! Twitter had all the thoughts. “forming a support group for the victims of Tom Hiddleston’s Centrum commercial,” writes one Twitter user. Watch the ad. Watch it again. And go take your vitamins.